Web animations offer interactivity, but sometimes you want to include your travel animation in a holiday video – or just post it on YouTube. To meet your need to convert PictraMap animations to videos, we partnered with Movavi – a leading multimedia software developer, trusted by 4 million users worldwide. We started getting requests from users for the ability to pause a travel animation so that they can deliver a presentation while the travel animations are playing. You cannot pause the animation like you would pause a video (since it’s an animation, not a video) but you do have the ability to toggle between “animation” and “explore” mode to control the pace with which you view it. 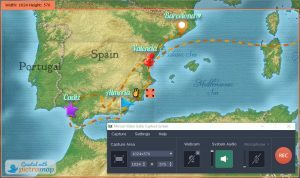 You do know the travel maps you create with PictraMap are not only animated but interactive as well, right? 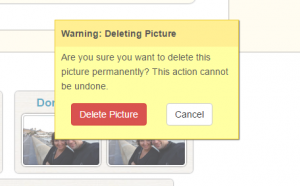 Did you know there’s a difference between removing photos from a project and deleting them from your account for good? It turns out many of our users didn’t realize the difference so this post will clarify a thing or two for you. By now you probably know how to add photos to each location, part of your animated travel map. But did you find the way of adding photos between locations? If you didn’t, here’s how. To show photos in your animated travel map on your way between locations, first you need to add a location where you want the photo to appear and then, to turn that location into a waypoint. Let’s get your map creating skills up a notch, shall we? Some travelers had difficulty changing the color and shape of their pins so we wanted to show you how to do that. When you are editing a project, you can see a pin for each location in the Map module. Click a pin and the customization options will be revealed.